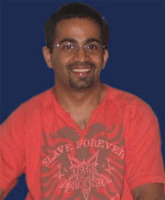 Rohan Mascarenhas, Director - Client Service, at Grey Worldwide Mumbai, unfolded some of the key techniques of Engagement Marketing (or Viral Marketing). His presentation was about strategies to spread your marketing messages through word-of-mouth communication. Engagement Marketing, he described as "A strategy to encourage individuals to pass on the message for exponential growth in exposure and influence." Like viruses in the computer, such strategies take advantage of rapid multiplication to explode the message to thousands to millions, he added. It was all about creating a BUZZ and leveraging media.